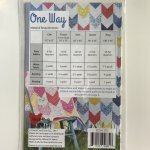 One Way Quilt pattern, designed by Allison Harris of Cluck Cluck Sew, is a Fat Quarter friendly pattern and is good for beginners. Finished Size: Crib 42" x 55", Throw 54" x 70", Twin 66" x 90"", Queen 96"x 95", King 108"x 95". 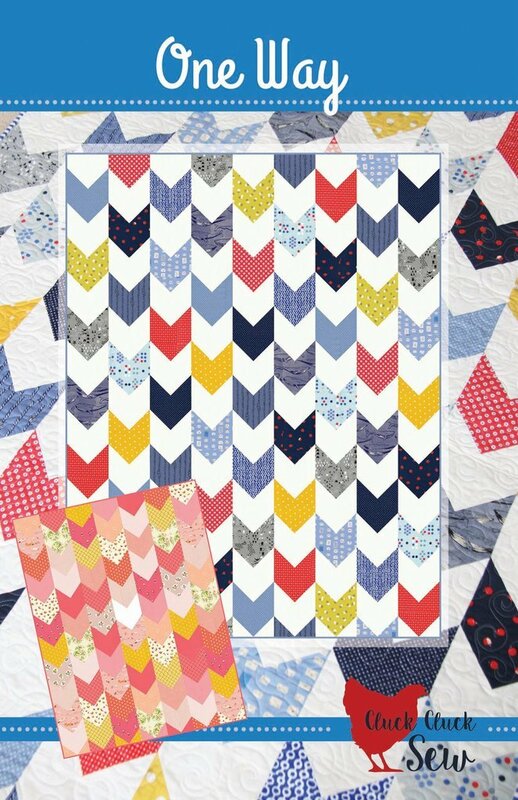 For the Throw-sized quilt, may we suggest the S.S. Bluebird Fat Quarter Bundle (13 piece).